Auckland: Rohit Sharma was on a record-breaking spree during the second Twenty20 International (T20I) between India and New Zealand in Auckland on Friday. 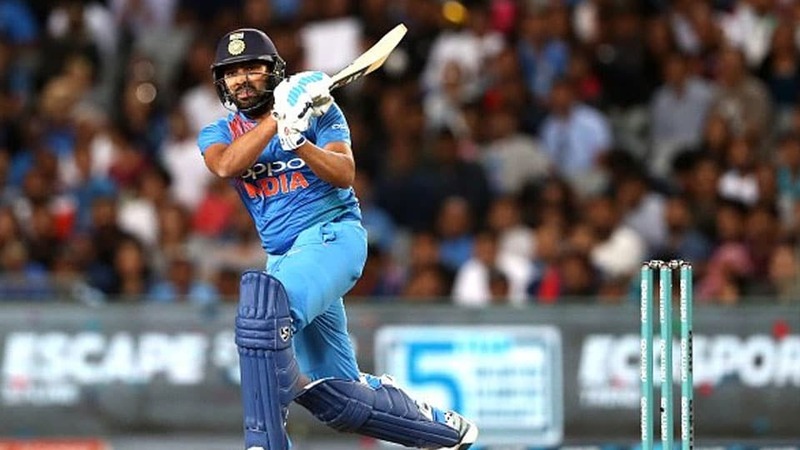 Rohit Sharma, with 2,288 runs, overtook New Zealand batsman Martin Guptill, who has 2,272 runs, to become the leading run-scorer in the shortest format of the game and broke several other records during his knock at Eden Park. With 20 fifty-plus scores in T20Is, Rohit Sharma now also holds the record for most such scores in T20Is. His fifty in the second T20I helped him go past Virat Kohli, who has 19. Rohit Sharma became just the third cricketer to hit 100 T20I sixes. Only two cricketers have hit more T20I sixes than Rohit Sharma. He has 102 sixes now while Chris Gayle and Guptill both have 103. Rohit Sharma is now in fourth place on the list of most sixes in international cricket. He has 349. Only Shahid Afridi and Gayle (476), Brendon McCullum (398) and Sanath Jayasuriya (352) have hit more. Rohit Sharma’s total of 349 sixes in international cricket (ODIs, T20Is, Tests) has helped him go past M.S. Dhoni for the Indian record for most sixes in international cricket. Although Rohit was dismissed for a 29-ball fifty at Auckland, he made quite an impact before he got out in India’s chase of 159 to level the T20I series.